Experience a CAS trip Cambodia style. Explore Siem Reap’s legendary temples and ruins, taking sketches of them on site. Take a jungle bike ride leading you along ancient walls and towards hidden treasures. 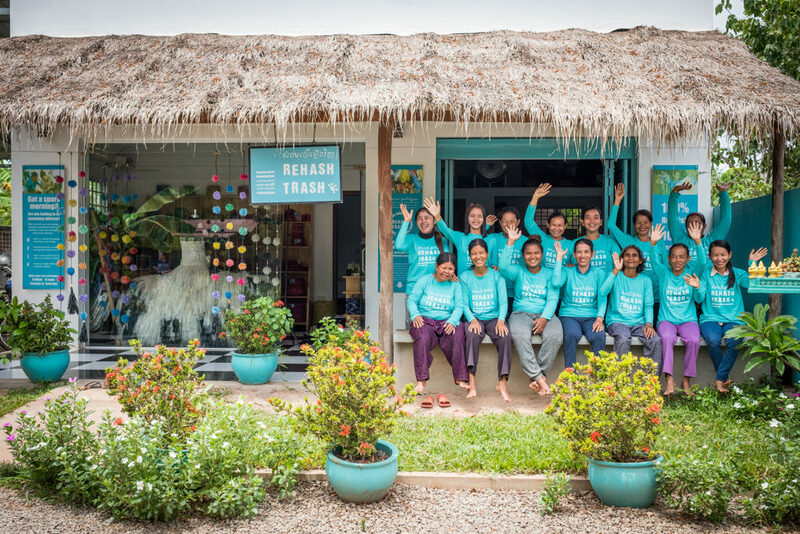 Work with the Trash Rehashing team to learn about the power of recycling and create your own souvenirs. Other activities on this adventure include visiting Siem Reap’s floating village, participating in a reforestation project, learning circus skills in a workshop and visiting a butterfly sanctuary. Check out the full itinerary below! Welcome to Cambodia! Arrive in Siem Reap, picked up by your guide, who will provide some general knowledge about the city and country on the way to the city. 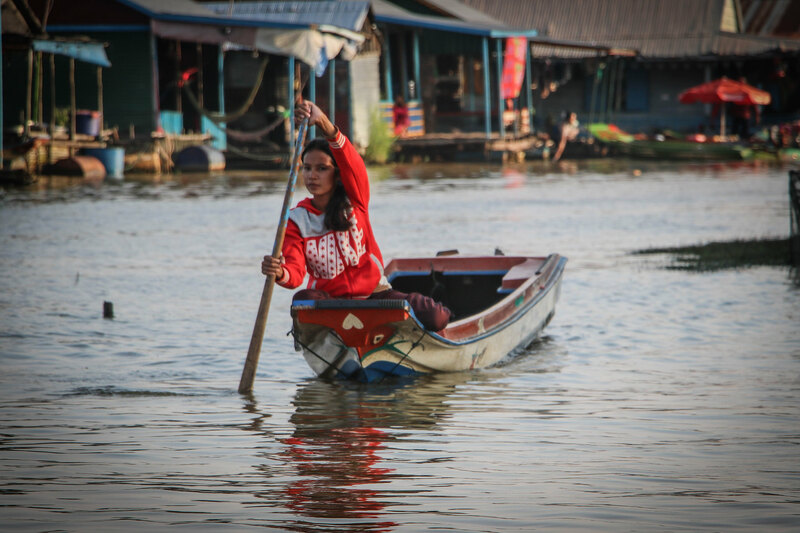 After refreshing a bit, visit Siem Reap’s only year-round floating village after a 45 minutes driver from Siem Reap, where you will visit a local home and learn more about life on the water. 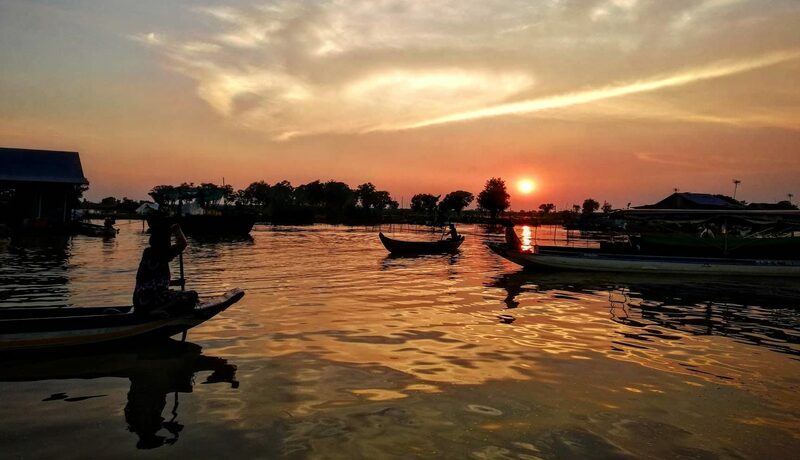 Then head out into the vastness of the Tonle Sap Lake, Southeast Asia’s largest inland body of water, where you can enjoy watching the birds overhead as you cruise along. Enjoy sunset in the village before heading back to the city. This evening’s dinner will be at Marum Restaurant which serves a range of tasty local cuisine in traditional ‘family style’. Marum is run by Kaliyan Mith, an NGO that has been working with street children and other marginalized young people since 2005. In the evening, visit 60 Road street market with a local guide for a Khmer-style dinner. This market holds fun fair, which makes it a very popular place for local families at night. After dinner you will also have the chance to try your hands of some fair games! Make the journey to the Banteay Srei area where you will work with the Ten Thousand Trees team whose mission is to plant 10,000 trees per year. The area you will be planting in has been researched by the organization and especially selected for your group to plant in today. *Though Cambodia was once a heavily forested nation, it currently has one of the fastest rates of deforestation in the world according to the United Nations. US satellite data shows a significant loss of forest cover from 72.1% in 1973 to 46.3% in 2014, so we need to protect it before it becomes unchangeable. After a home-cooked lunch, take a stroll through the gardens with your guide and learn about the local fruits and vegetables grown here, followed by a visit to the Butterfly Centre guided by the staff member from the NGO who rescue butterflies in farming process. Begin your day with a visit to Ta Prohm – the Tomb Raider temple where you will wander your way through the ancient ruins and learn the history of the Khmer Empire and enjoy a scavenger hunt to explore the temple further. Continue on to Bayon Temple with all the carved faces looking out over the Kingdom; finish your morning with a stunning visit to Angkor Wat temple. We will be sketching while we walk through the ancient ruins of Angkor wat and learn about the history. We examine, via the medium of art, how the temple’s artwork reflects Cambodia’s transitions: from dynasty to dynasty, seasons of plenty to seasons of drought and from Hinduism to Buddhism. 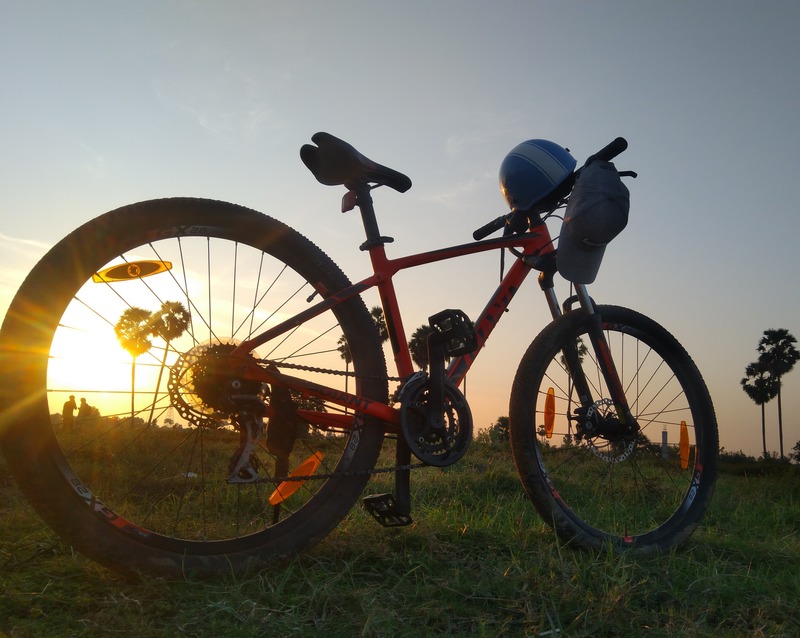 In the afternoon, enjoy a 2 hour jungle cycling adventure (mild)! Begin with an adventure track on the wall of this great city, leading you back down to ground level, through the jungles to seek out a hidden temple where your driver will be waiting to take you back to town. Along the way, stop off to visit Apopo Visitor Center, an organization practices ‘humanitarian demining’ using trained rats to locate landmines and other unexploded ordinances which are then removed, making Cambodia much safer for its people. Enjoy a 2 hour city walking tour to see Siem Reap’s largest pagoda, Royal Residence, Kandal Village and Old Market learning about the history, culture and architecture along the way. Visit Artisans d’Ángkor where you will enjoy a guided tour of their workshops seeing the local artisans creating their masterpieces. After lunch, stop by the Made in Cambodia market for souvenir shopping. Then Visit Phare – The Cambodian Circus where you will spend the afternoon with the circus artists leading you in a circus workshop. Enjoy an early dinner at the Phare café before spending an exhilarating hour watching the artists perform a classic Cambodian story through dance, acrobatics and live music performed in a traditional big top! Creativity; Students design and make their own souvenirs during trash rehashing and sketch while walking through the ancient ruins of Angkor to examine, via the medium of art, how the temple’s artwork reflects Cambodia’s transitions. Action; through activities such as cycling, planting trees and learning circus skills, students will gain physical confidence and experiences. We aim for students to develop fun and positive associations to exercise. Service; work with the Trash Rehashing team to learn more about responsible travel, and Ten Thousand Trees team on the deforestation issue.